The development of technology has affected almost every aspect of our lives. Community who are familiar with this technology could get anything through technologies such as books, food, electronic devices, and also education. Education system is also one of the aspect that change with technology. Many educational institutions apply technology to the space of its classroom. The use of technology in the classroom not only increase the effectiveness of learning and teaching. The technology is very useful to create active learners because they engage with the material directly. What are the technology that now exists in the world of education? Now, learning in the classroom are already entered into the classic category. Because, with the online classroom, students no longer have to sit in class long day. 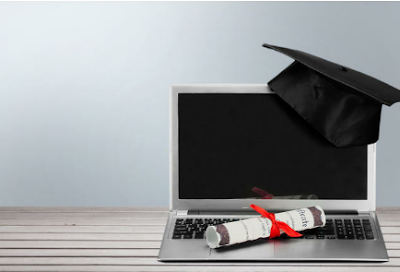 Students can study or pursue a Bachelor degree online. This technology will make students to connect with teachers and lecturers. Education through an online class is most sought after by students due to cost a little bit and have a value of the same knowledge by studying in the traditional style. The Internet is very rich in storing information. You can access anything through the internet including knowledge or material. Various blogs, sites, and applications provide a lot of assistance to students. In fact, the data on the internet it can be a reference to learn about a topic and also for research purposes. Tutoring is now already no more face to face directly. Through the help of the internet, some institutions have implemented the guidance of his studies with just a click-click-click on the internet. To expose the material, teachers and professors in the present is no longer using the white board or black Board that tacked on the wall of the classroom. It's already very obsolete. Nowadays, the technology used is a presentation software and projector. It was through technology where educators can deliver the material effectively and can add pictures, diagrams, and videos to make students feel involved in the class. In the past, search for scholarships in the domestic and abroad is very difficult, must attach any documents to post to the post office, now it is no longer necessary. Through the internet, you can easily find out scholarship opportunities at domestic and abroad and register your application in just one click.